Everything was lining up for NC State to make it to Madison Square Garden. Less than 30 seconds remaining with the ball and a 2-point lead, all State essentially had to do was not turn the ball over and make free throws because Lipscomb was in foul mode. Unfortunately for the Pack, it wasn't that easy. Senior Torin Dorn threw an errant pass on an inbounds that was stolen which led to an open 3-pointer for Lipscomb that put the Bisons up one. Seconds later Markell Johnson hit a layup which could have been the game-winner, but Kenny Cooper, who also knocked down the 3-pointer, answered with a contested pull-up jumper. That shot was the game-winner, as Lipscomb defeated the Pack 94-93 in a thriller in Reynolds Coliseum. In a matter of seconds State went from advancing to the semifinals of the NIT to the season being over. It really can happen just that fast. For Dorn, that errant pass in his final game shouldn't be how he is remembered because he had a career night, totaling 34 points on 15-of-22 shooting from the field. 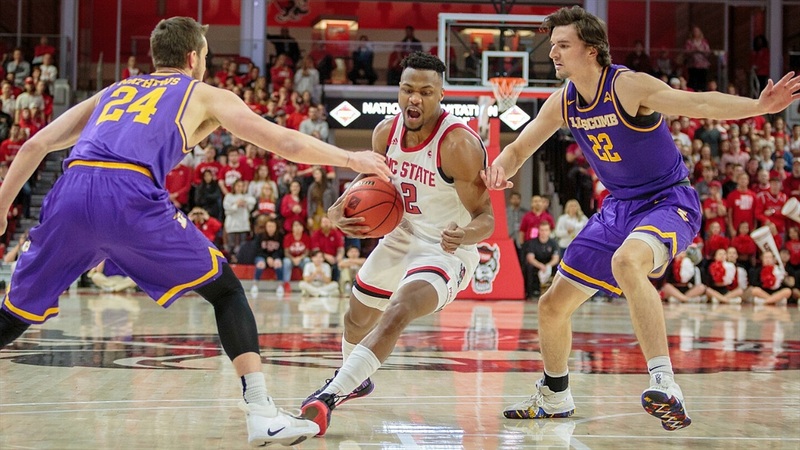 The Wolfpack's senior leader, Dorn had inbounded the basketball in critical situations because of the trust his head coach has in him. Keatts raved about Dorn after the loss. "To see him play his last game and be aggressive, scoring 34 points in an electric arena, it means a lot to me," Keatts said. "When we all get in this business, we want to know that we are sending young men into the real world ready. I don’t know if there is another young man in the world that is more ready than Torin Dorn. "He is everything. The guy is a great ambassador for NC State. Those guys don’t come along very often. When you talk about a guy who does everything right, that is Torin Dorn."